The apartment consists of a living room with folding sofa for two persons, dining room with kitchen, two bedrooms each with doublebeds and ensuite bathrooms, one bedroom with two single beds and ensuite bathroom, one day bathroom and a nice big balcony with a big table and garden/swimming pool view. In one bedroom there is a folding sofa 1.20m wide for one adult person or two children. 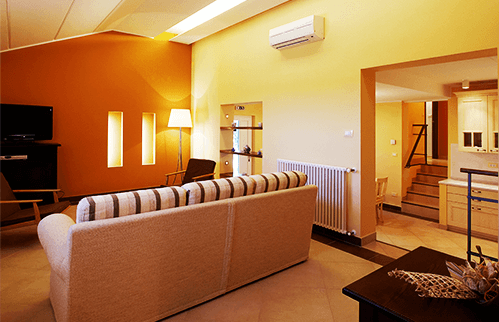 The apartment can accommodate in total 6 persons plus 3-4 persons on folding sofas. 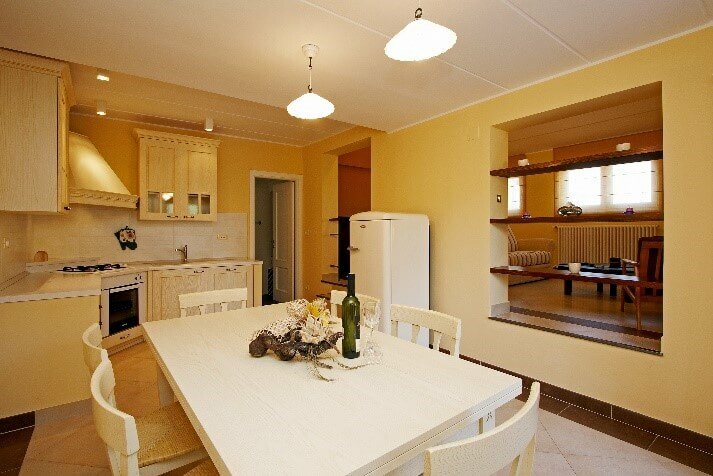 It is equipped with air conditioning, central heating, satellite TV, dishwasher, washing machine, microwave, etc. The price includes use of the open area swimming pool, tennis playground, private parking, garden furniture, barbecue, table tennis, pool table, darts, wireless internet, air-condition, water and electricity, clean bed clothes once a week and clean towels twice a week. The apartment is situated on the groundfloor and is ideal for families with three childrens as well as for 5 adult persons. It consist of living room with kitchen and folding sofa for two persons, one bedroom with one doublebed plus one single bed and a bathroom. It is equipped with air conditioning, central heating and satellite TV. The apartment is situated on 1st floor and is ideal for families with two children as well as for 4 adult persons. It consist of living room with kitchen and folding sofa for two persons, one bedroom with kingsize doublebed, bathroom and balcony. The balcony offers a beautiful view of our garden and swimming pool as well as surrounding nature. It is equipped with air conditioning, central heating and satellite TV. 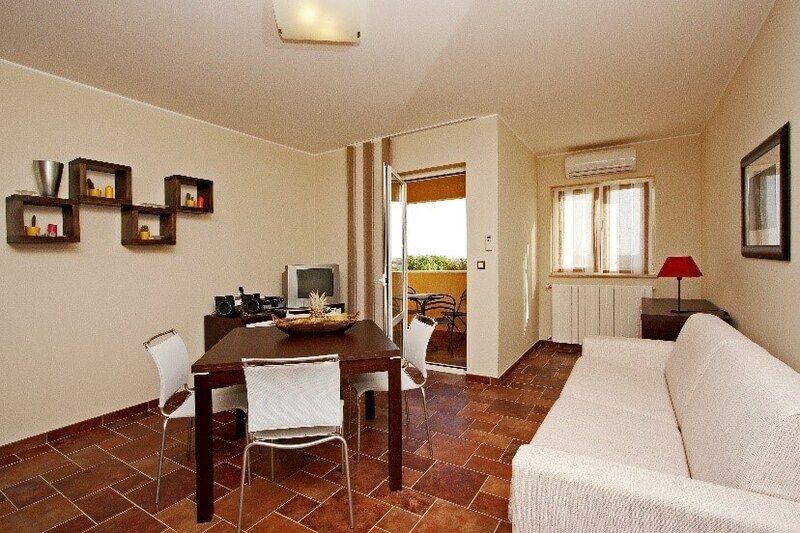 Our studio apartment is located on the 2nd floor and is ideal for two to three persons. 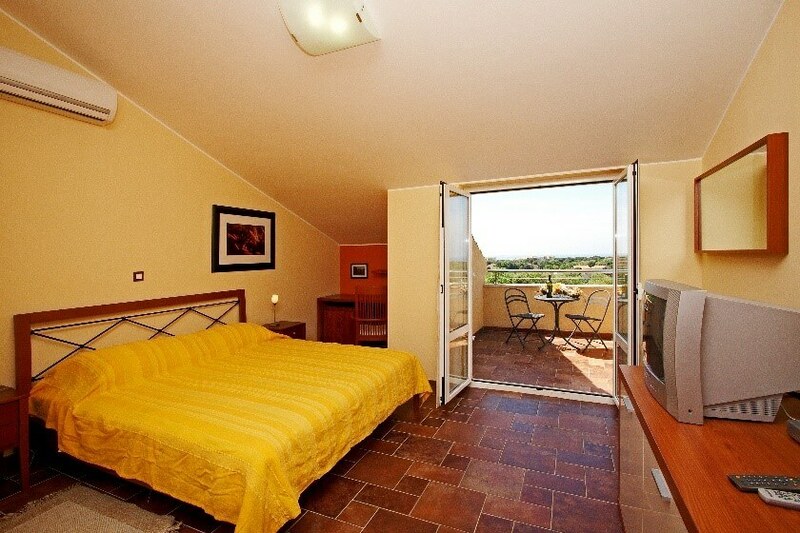 It consist of one room with a kingsize bed for two persons, one room with a folding sofa, bathroom and balcony. 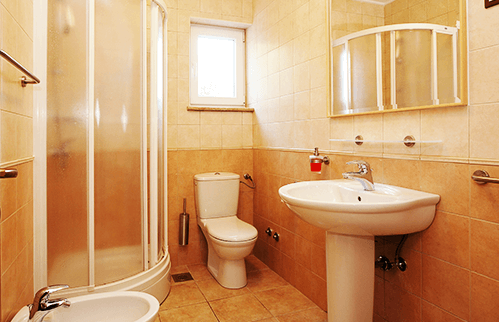 It is equipped with a kitchinette, air conditioning, central heating and satellite TV. 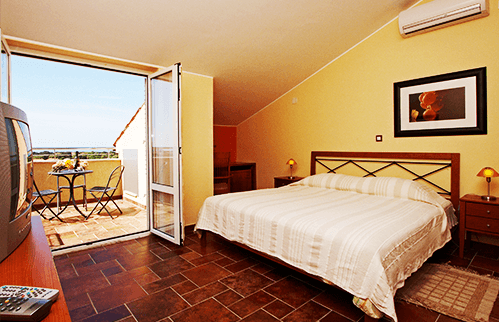 From a nice big balcony you can enjoy a beautiful view of the sea, surrounding nature and Brijuni islands. Our studio apartment is located on the 1st floor and is ideal for couples. 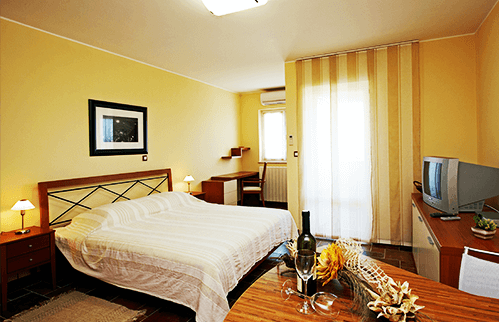 It consist of a room with a kingsize bed for two persons and kithinette, bathroom and balcony. It is equipped with a air conditioning, central heating and satellite TV. From a balcony you can enjoy a beautiful view of our garden and swimming pool as well as surrounding nature. Our room with a nice big kingsize bed is located on the 2nd floor and is ideal for couples. It is equipped with a small refrigerator, electric kettle, air conditioning, central heating and satellite TV. 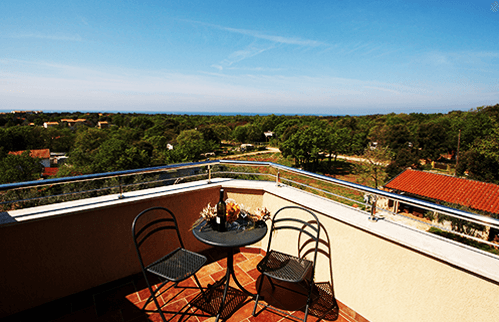 From a nice big balcony you can enjoy a beautiful view of the sea, surrounding nature and Brijuni islands.